Tealight Candles are usually used for lighting and home decoration. The White Solid Candles have no fragrance and its color is white. In addition to this, our white Pillar Candles have different weights, namely 8 grams, 9 grams, 10 grams, 11 grams, 12 grams, 13 grams, 14 grams, 22 grams, 23 grams. If you want to apply for a marriage or prepare for a romantic surprise, we also have Scented Tealight Candles and Mini Tealight Candles. 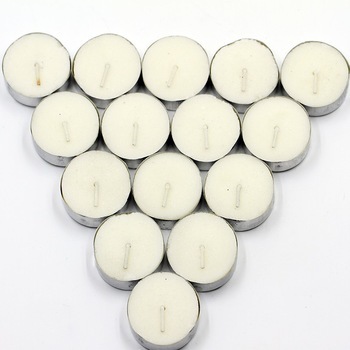 Looking for ideal Hot Sale Tealight Candles Manufacturer & supplier ? We have a wide selection at great prices to help you get creative. All the White Tealight Candles are quality guaranteed. 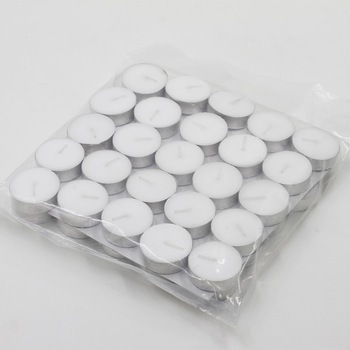 We are China Origin Factory of White Pillar Tealight Candles. If you have any question, please feel free to contact us.